Plot: Down on his luck and facing financial hardship, Gerry teams up with younger charismatic poker player, Curtis, in an attempt to change his luck. The two set off on a road trip through the South with visions of winning back what's been lost. The work of A24 could be perceived as a bit of a gamble in an era where franchise films have intimidated indie film into a certain obscurity. It's why, towards the end of their third year, it only seemed right to release a film that played to all of their strengths and just so happened to feature Ben Mendelsohn shooting dice at several points. Co-directors Anna Boden and Ryan Fleck's Mississippi Grind is a film that may come from their inferior DirecTV division, but plays like the unexpected gem that most of their other 2015 films would become. It was also a shining performance for actor Ryan Reynolds, who had rarely gotten the chance to turn in roles half as charismatic as this one. Even if it was another example of the film not getting serious awards love, it was the type of second-tier cinema that the studio could be proud of. It had heart and drama, and a unique story full of rich personality. It was the sleeper hit that the studio would continue to improve upon in the years to come. For now, it was a nice change of pace. The story begins in 2008 with Boden and Fleck's short film Sugar. During this time, they stumbled upon a riverboat casino along the Mississippi River. There was something alluring about it, especially the personalities that inhabited the building. They became intrigued by the idea of a movie about gambling, citing California Splits as an obvious influence. In order to get a better perspective of the film, they would spend long periods gambling in cities bordering the river. Neither were professional gamblers, so they slowly learned how to play properly while picking up lingo along the way. The phrase "I drove to the end of the rainbow" was one expression overheard and meant that somebody won a "pot of gold." They liked the expression so much that incorporated it into the film. While Mississippi Grind wasn't a film they did immediately after Sugar, it was one that they would come back to often with ideas. During the pre-production, Mendelsohn claims to have seduced the directors to be in the movie. He had yet to become a household name, but was attracted to the potential of the role. Considering that he would help to shape the movie later on, the directors were so charmed by his work that when they finally began work on the film over a year later, they thought of his name instantaneously. The other actor, Ryan Reynolds, would join later after Jake Gyllenhaal dropped out. Mendelsohn was stated to having been a very fluid actor who would change from scene to scene. Boden and Fleck would suggest that he helped them understand what the scenes were really about, meaning that he brought a certain depth to the role that hadn't initially been perceived. The film shot in cities along the Mississippi River and incorporated a lot of the culture from around there. This was true of the many casinos that were visited, as well as the various homes that certain scenes were shot in. Boden and Fleck sought to make an authenticity, even going for a retro 70's look with a 35 mm camera, of which they told the studio would help them shoot faster. The film began production in January of 2014 and shot in cities such as Mobile, Alabama and New Orleans, Louisiana. While the directors would work together on several elements of the film, Fleck let Boden do the editing while he did the rewrites. Other cast members, including Sienna Miller, joined later as the film was being shot. The film premiered at the Sundance Film Festival in 2015 to generally positive reviews. It was here that it was picked up by A24 and DirecTV for a Fall release. It would appear on demand and in theaters by September. The box office wasn't necessarily incredible, earning $103,541. Mendelsohn would go on to get an Independent Film Spirit Award nomination for Best Actor. It was one of the only pieces of praise that the film got outside of critic circles. The film would earn a 90% on critics aggregate website Rotten Tomatoes, which was the highest rated DirecTV co-release, and one of A24's highest in general. Critics like Richard Roeper of the Chicago-Sun Times wrote that "This is one of the better movies about the gambling culture in recent years." Gary Thompson of the Philadelphia Inquirer also wrote that "The movie is a snapshot collage of flyover America, but also, perhaps, an homage to the soon-to-be-lost world of brick-and-mortar gambling." The few that hated it included Richard Brody of New Yorker, who suggested that "The actors flaunt craft, the script lays on the folksiness with a trowel, and scenes of local color seem to come straight from a guidebook." There were also a few who criticized the movie for being almost too similar to California Splits, suggesting that several scenes were exactly the same. 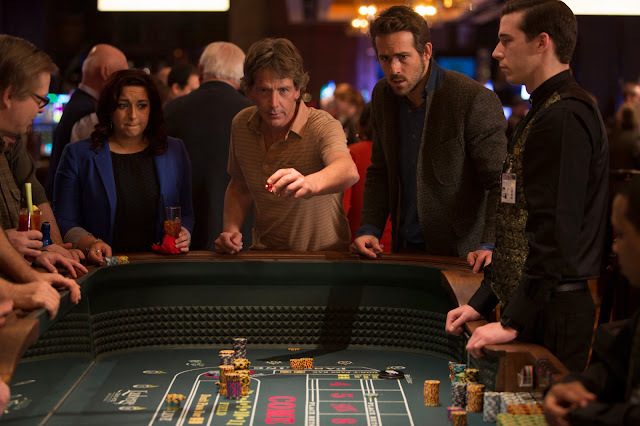 Mississippi Grind was a film that proved just how impressive 2015 had been for A24. Even if it didn't earn them an Oscar like the next film, it showed that they could gamble on small movies and produce work that was memorable and elevated seemingly mediocre actors to the status of prestige. It was even an achievement for their DirecTV branch, showing a word of mouth quality that has kept the film relevant in years since. It's hard to argue with the critical results of the film, even if the box office was disappointing. Still, A24 was about to end their third year on an even more impressive note. It was a film that would get them their third Oscar and their first Best Picture nomination. It was a film that showed just how powerful they would become in the years to come, and all it involved were two actors trying to survive in a Room.